Comments: The red dragon plant has burgundy leaves highlighted with a blue-gray chevron in the center. 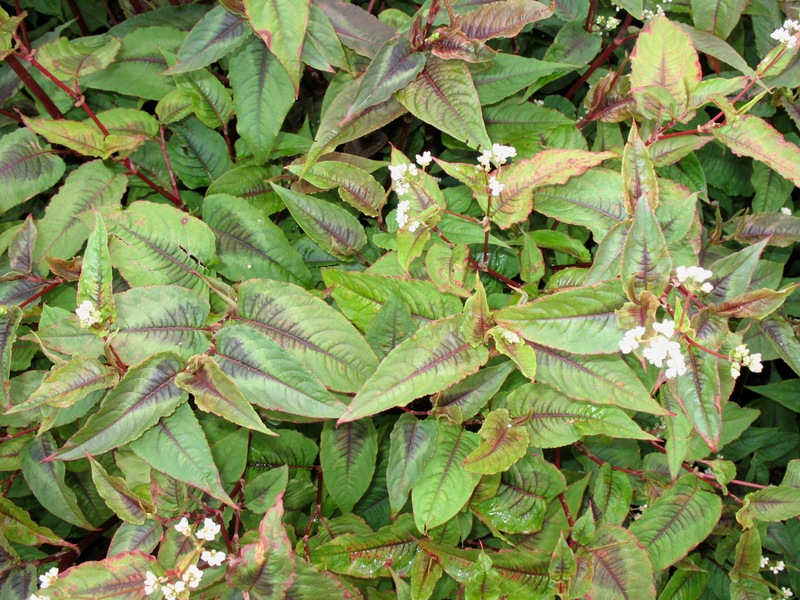 Best color of foliage in full sun, but plants must be kept moist to prevent wilting during hot weather. This clump forming plant is used in borders, accents, mixed containers, massed, and is effective when combined with plants with contrasting foliage. Cut back in late winter or early spring to about 9 inches in height.